Robert Meder is a CFI with single- and multi-engine and instrument privileges. He was recently named the St. Louis FSDO 2009 CFI of the year, the Lincoln 2010 FSDO CFI of the year, and the 2010 Central Region CFI of the Year. He has been a check airman for a 141 operation, an active FAASTeam Lead Rep. He is active in volunteer activities at EAA AirVenture each year. 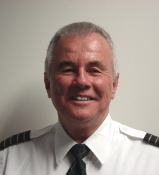 Robert serves on the board of the National Association of Flight Instructors and is also an operating department manager with one of the largest railroads in the United States. Carl B. Fry is from Columbus, Ohio. He was admitted to the Bar in 1974 to practice before the United States Supreme Court; United States Court of Appeals, Sixth Circuit; United States Court of Appeals for the District of Columbia Circuit; and the United States District Court, Northern and Southern Districts of Ohio. Mr. Fry represents clients in both state and federal courts in Ohio and other states. time as a CFI, making his 747 Check Airman position a dream come true. "I still get to flight instruct for a living," he said. O'Mara said he hopes to use the background he has gained in his 36 years as a CFI to help other CFIs, through NAFI, realize that they hold the future of piloting in their hands. Advanced Ground Instructor. He credits his decision to become a pilot to an experience he had while boarding a flight when he was young. While doing so, a flight attendant noticed his interest in the cockpit and urged him to go talk to the pilot. “He took the time to talk to me for five minutes, pointing things out," Radtke said, and credits that pilot with his career choice. He added: “I’ll always remember that. We never know when we can make that same impression on someone else.” There is no doubt that Radtke's role as an instructor and his new role with NAFI offer him continued opportunity to make impressions of his own on those he introduces to aviation. instructor. He is an Airline Transport Pilot with single and multi-engine privileges, and also is an Instrument Ground Instructor, Instrument Flight Instructor, and a Multi-engine Flight Instructor. Professionally, he has been a senior financial executive in aerospace and pharmaceutical industries and holds a BA and MBA in Accounting and Taxation. King Schools, and in particularly John and Martha King were generous in allowing Jim to gain a detailed understanding of the marketing and the trade shows operations. Jim recently retired as CFO of King Schools Inc.
include ASEL,ASES, Rotorcraft-Helicopter, L-B34 type rating (Howard Super Ventura), and Glider. In his 49th year as a CFI with over 6,000 instruction hours given, his certificate shows Gold Seal, ASME, Instrument-Airplane, Rotorcraft-Helicopter, and Glider. Ken served as a Designated Pilot Examiner for over 25 years, which included approvals for Private, Commercial, ATP, CFI, ASEL, AMEL (with as many as 5 LOAs for different models), Helicopter, and Learjet. He has owned or operated flight schools under FAR Part 61, 141, and 142 and served as Evaluator in the Beechcraft 1900 for the 142 training center he founded. “NAFI has a proud past and we have a very talented and dedicated board of directors and staff who are working hard to take our organization to the next level. I am proud to be a part of that effort.” Photo: Ken Hoffman and favorite student Kristin Nicole Hoffman flying Harry Mertz's Varga. Bob started flying in July of 1973 and obtained his private license in April of 1974. Bob became interested in the lighter side of aviation in 2003 by building and flying a Challenger II aircraft. Obtaining a seaplane rating in 2005 and converting the Challenger II to amphibious operations renewed a passion for flying while opening new experiences. Bob began teaching Sport Pilot and Ultra light flying in 2006. Currently an EAA Chapter president, Bob has completed three experimental aircraft and is currently building his fourth - the RV7. Teaching people to fly has been one of the most rewarding aviation experiences for Bob. Congressman Sam Graves is a life long resident of Missouri's Sixth Congressional District. As a small businessman and a sixth-generation, full-time family farmer, Sam spent his life working to make Missouri a better place to live, work, and raise a family. In Congress, Sam serves as the Chairman of the Small Business Committee. Sam also serves on the Transportation Committee where he continues to fight for Missouri roads, bridges, rail lines and airports. Congressman Graves was born in Tarkio, Missouri on November 7, 1963. 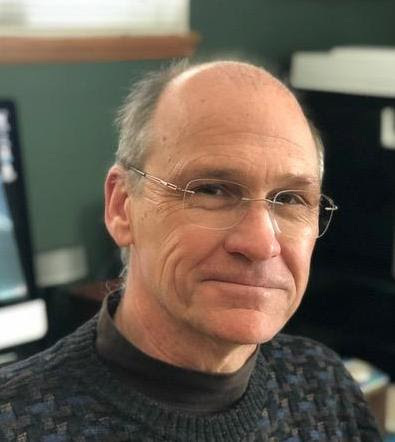 He graduated from Tarkio High School in 1982 and attended college at the University of Missouri-Columbia, where he received his degree in Agronomy from the School of Agriculture. In 1992, Sam won his first race for State Representative. In 1994, Sam was elected as State Senator for the 12th Senatorial District and was subsequently re-elected in 1998. Sam's leadership has not only been recognized by his constituents, but from organizations like the Missouri Chamber of Commerce, the Small Business Development Corporation, and the Missouri State Medical Association. As a father, farmer, businessman, and former State legislator, Sam knows first hand the values, hopes, and beliefs of the hard-working families of the Sixth District, and will continue to work tirelessly for them in the United States House of Representatives. Sanders’ friends say he wanted to fly before he was born. In first grade Sanders started building and flying U-Line controlled gas powered model airplanes. He was competing in combat and rat race competitions through 4th grade. Sanders joined the United States Marine Corps in 1969 and became a CH-53D Crew Chief flying in excess of 1200 hrs. Upon return to the states in 1972 Sanders took flying lessons at the base flying club earning his Private License on July 4, 1973. He returned home and used his GI benefits to earn his Instrument Rating and Commercial License. from an 800hr. pilot with those ratings to a Commercial Pilot with ASEL, ASES, AMEL and, Glider. He also is a CFI, CFII, MEI, CFI-G, Gold Seal Instructor, NAFI Master Instructor and FAAST team Representative. For three years Sanders flew freight for Northeast Aviation as a Captain and Training Airman. Sanders has logged in excess of 6000+ hrs. In addition to joining the NAFI Board, Sanders chairs/participates on several NAFI Committees. Sanders enjoys his obligations as a member of the NAFI Board of Directors. Paul Preidecker has been a flight instructor for more than 25 years and is now the Chief Flight Instructor/Examiner for Air Wisconsin Airlines and manages its pilot training program. He has served as a member of a FAA Aviation Rulemaking Committee, and chairs the Flight Training Committee of the Regional Airline Association. He is active in the development of curriculum for its pilot training program and was involved in creating the curriculum for its ATP Certified Training Program. Preidecker is a member of the Professional Development Committee for NAFI. He owned a company that specialized in developing and delivering seminars for GA pilots and was VP of marketing for a company that manufactured biomedical instrumentation. antique aircraft and enjoys spending quality time with her RV-6. 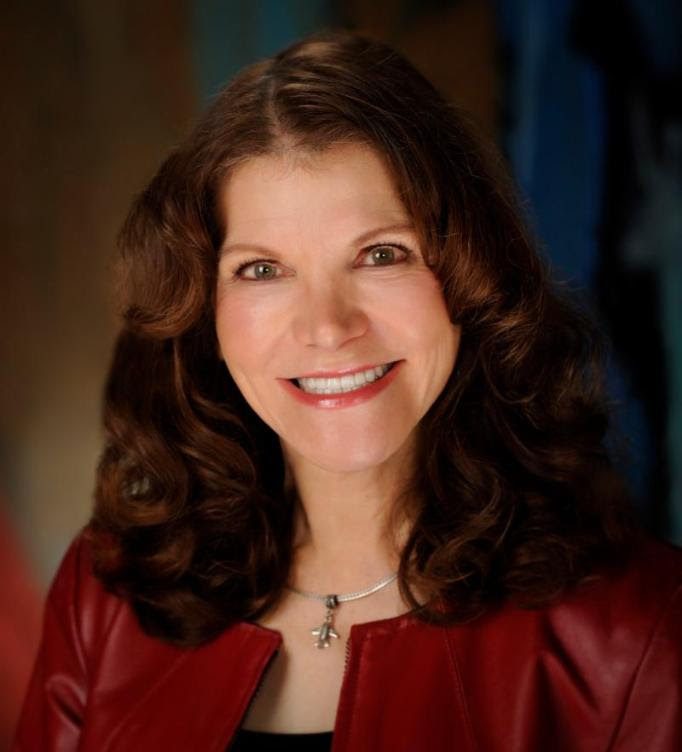 Before becoming a full-time flight instructor, she was an executive in the banking industry, taught graduate school, and as president of her own corporation spent over 20 years providing international consulting services in 37 countries.